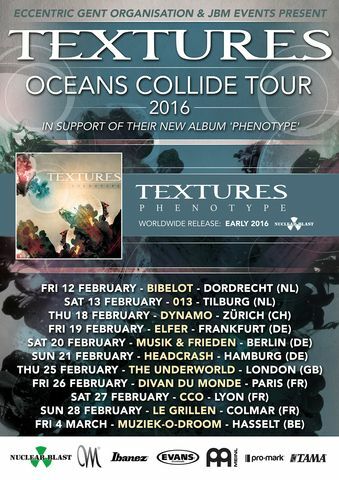 Dutch progressive metal maniacs TEXTURES will release the first of their upcoming two albums, ‘Phenotype’, on February 5th 2016 via Nuclear Blast. The second record of the diptych, ‘Genotype’, will be released one year later. Now the time has come for the band to present the first new track off ‘Phenotype’ to their fans. ‘Phenotype’ is a song-based, 60-minute long album. 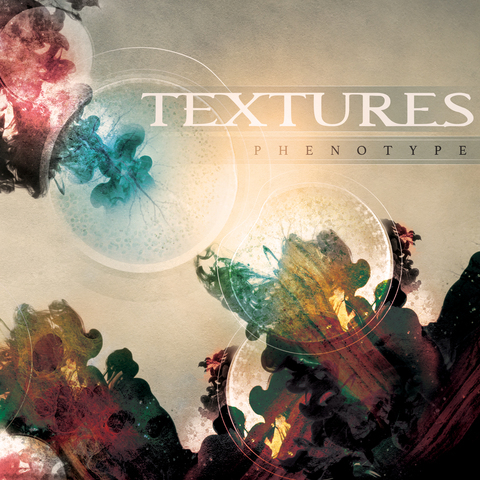 TEXTURES present an eclectic overview of what the band, with their own style in modern metal, has to offer for over a decade. Catchy, innovative and progressive songs . New musical virtuosos Uri Dijk (synth) and Joe Tal (guitar) deliver a new, harmonic vibe to their already mature sound. Dutch modern progressive metalband TEXTURES entered the studio last week to record the follow up for their 2011’ album ‘Dualism’, which will be released via Nuclear Blast Records. This will be the band’s first album with current guitarist Joe Tal, who completed the band as a six-piece again in 2013. Founding guitarist Jochem Jacobs, who has left the band in 2012, will also be a part of the process as he will be producing and mixing the upcoming album at Jacobs’ Split Second Sound Studio. Besides the participation of Jochem, TEXTURES will also be having Yuma van Eekelen (Exivious/ex-Pestilence) on board as co-producer/engineer at both Split Second Sound Studio as Bart and Yuma’s own Final Focus Studio. “We are thrilled to be back in the studio after such a long time. We know our fans are waiting for a while now as our previous album ‘Dualism’ has been released 4 years ago already. We have spent a long time making the songs really fit, so we can tell you this album will have something in store for every TEXTURES fan out there and even more than that!!”. TEXTURES already tried out one of the new songs live on their ‘Polars 10th Anniversary Tour’ last October, which has been well received by the fans. The new album by TEXTURES is expected to be released early 2016.